Just make your selections and fill out the form with your contact details, and then submit the form. You will receive an eMail with a confirmation of the amount owed, with instructions on how to provide the payment. 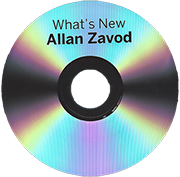 Once payment has been received, Zav Pty Ltd will make the purchased item(s) available to you. Currently, Payments can be made via Direct Deposit or $AUD Bank Cheque. (PayPal option may be added at a future date.) Note: Additional Shipping/Handling costs has been added to all CDs and DVDs. 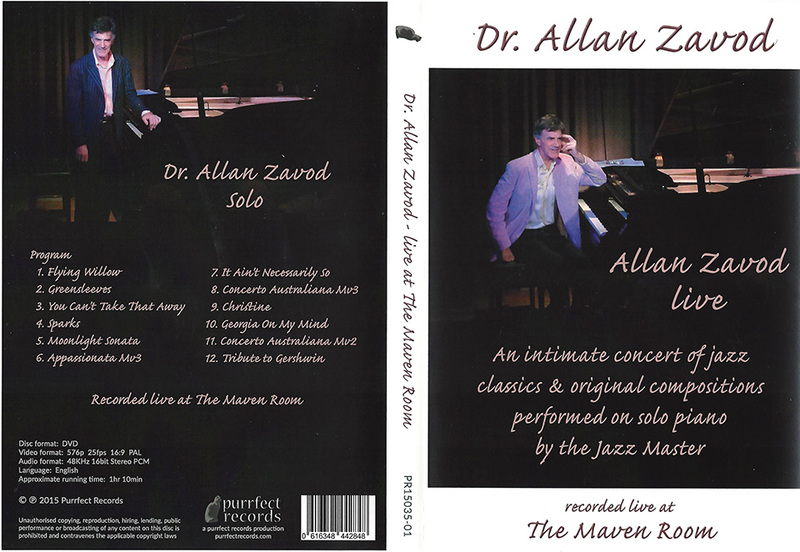 Dr Allan Zavod recorded live at The Maven Room. 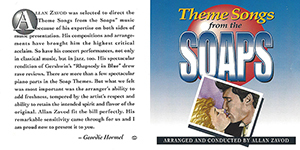 2 Disc Compilation. 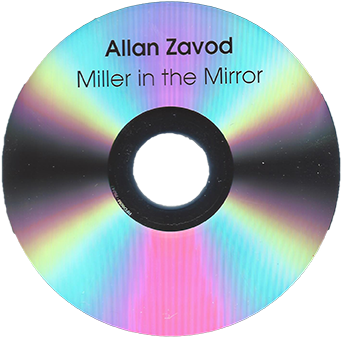 Allan Zavod performing a mix of his own original music, along with some well-loved jazz standards and covers. 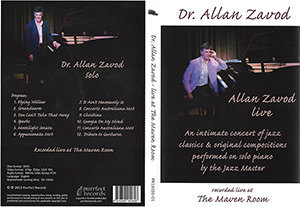 Dr Allan Zavod's trio performs Gershwin, Berlin and Rogers & Hammerstein. 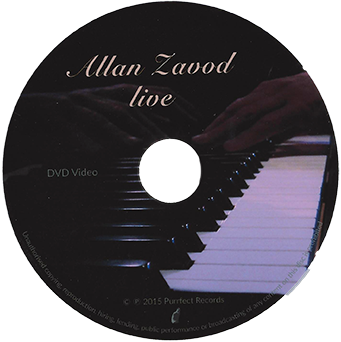 Recorded live at St John's Church, Halifax St, Adelaide. 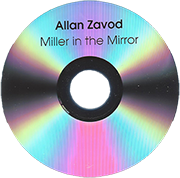 Allan Zavod on Piano, Jeremy Alsop on Electric Bass, and Gerry Pantazis on Drums. 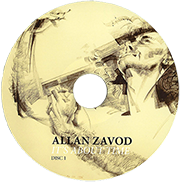 A Concerto composed by Allan Zavod for Violin with Choir, Jazz Trio & Orchestra. 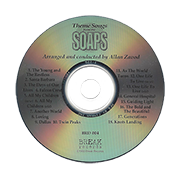 Commemorating the Centenary of the presentation of the 1st Nobel Prize for Peace in 1901 to the founder of the Red Cross. 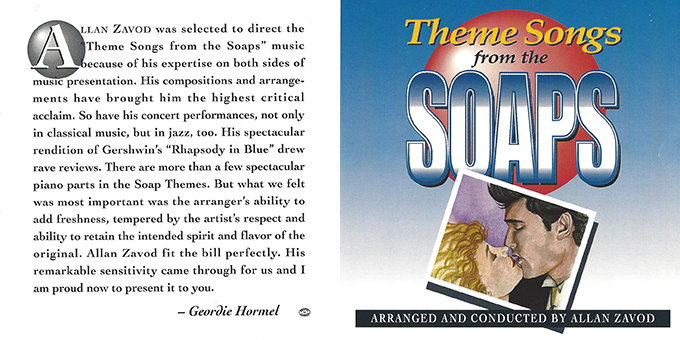 Motion Picture Soundtrack for Death Of A Soldier. 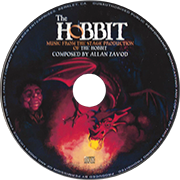 Includes original compositions and arrangements by Allan. 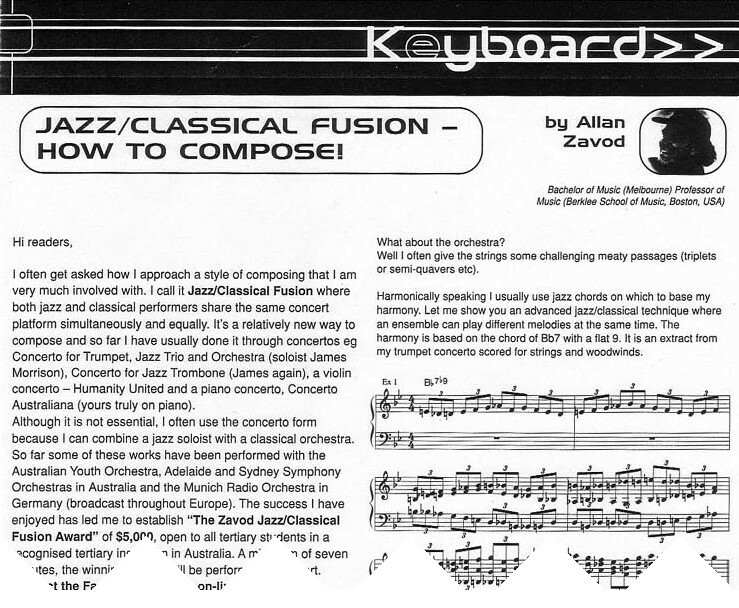 Allan performing some of his original compositions, along with favorites like 'Blue in Green', and the Title Song 'What's New'. Music from the stage production of The Hobbit - All original music composed by Allan Zavod, with lyrics by J.R.R. Tokien. 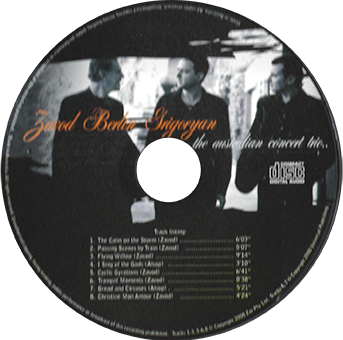 The Australian Concert Trio: Allan Zavod on Piano, David Berlin on Celto, and Slava Grigoryan on Guitar - performing many of Allan's own compositions. 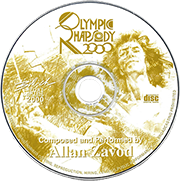 Allan Zavod (solo piano) with the Sydney Symphony Orchestra at the Opera House, Sydney Aus - composed and performed for I.O.C. Sydney Olympics 2000. 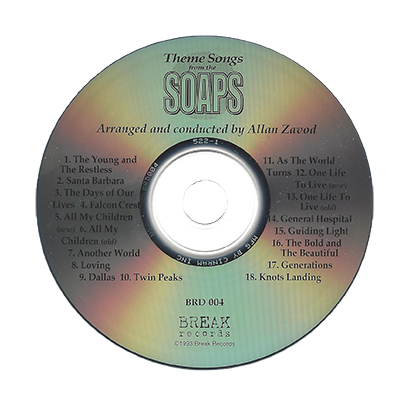 Allan Zavod was selected to direct the theme songs from the soaps music because of his experise on both sides of music presentation. 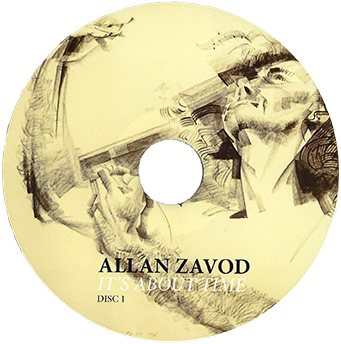 Zavod's arrangement added freshness, tempered by respect and the ability to retain the intended spirit and flavour of the original songs. 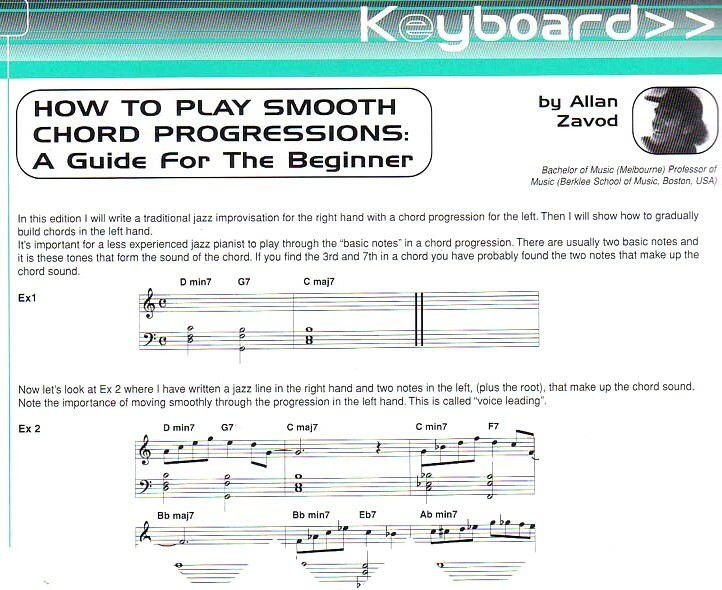 There are more than a few spectacular piano parts. Make payable to Zav Pty Ltd. 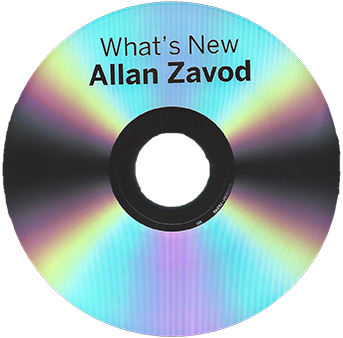 Send to: Zav Pty Ltd., attention Allan Zavod, at: PO Box 132, Toorak VIC 3142. Note: After submission, you will receive an eMail with a confirmation of the amount owed, with instructions on how to provide the payment.